The Very Hungry Caterpillar is one of the cutest children's books of all time. For that simple reason, I am excited to give you some budget-friendly ideas for a super cute caterpillar party! If you're the creative type or you want to get your kids involved, try making either a collage card following Eric Carle's style or a thumbprint caterpillar card. If you'd rather just buy something and be done with it or slap some stickers on a piece of paper, try these Eric Carle stickers (mailjust4me.com, $5.95). Here's a really cute idea for those of us who are a bit more daring! Make your little caterpillars feel right at home with bright "grass", "trees", and "flowers". Make your own out of construction paper for the best deal, or invest in some of these fun, long-lasting wall stickers! (Amazon.com, $12.99) Although they aren't the same brand, I have a tube of wall stickers and they are very durable- they can be peeled on and off the wall without damaging the wall or the stickers (if you're careful!). Instructions: Let the children create their own Eric Carl style illustrations! Give each kid a piece of construction paper and several sheets of tissue paper as well as a glue stick and scissors. 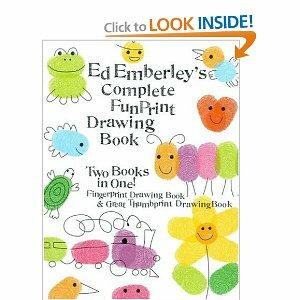 Children should draw out their designs first, then cut the shapes out of the tissue paper and paste them to the paper. Note: For younger children, cut small squares out of the tissue paper, then simply let them glue the pieces to the page. Caterpillar cocoon hop: Purchase an inexpensive pillow case for each child. Set up a distance for them to race across a yard or room. Children must stand in their "cocoons" and hop across the designated area. Whoever crosses the finish line first wins. Caterpillar scavenger hunt: Hide treats like those in the book (lollipops, apples, pears, plums, oranges, chocolate snack cakes (Little Debbie or Oreo Cakesters), Little Debbie cherry snack pies, etc. throughout the yard- children must find the treats by crawling around like a caterpillar. 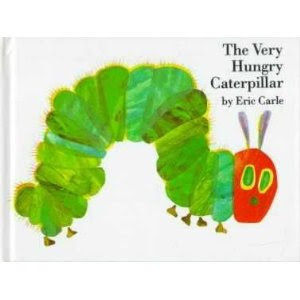 Of course, read Eric Carl's Very Hungry Caterpillar! In order to make sure the frosting for the head actually turns red instead of pink, I recommend using Wilton gel food coloring (find it at almost any craft store)- it gets it the color you want a lot faster! Lollipops (since the caterpillar eats one in the book) I like the idea of organic lollipops which you can get for less that $0.10/piece! (Amazon.com) If you want to go with a lollipop more like the one in the book, go for mini swirl pops at $0.15/piece from OrientalTrading.com. Go buggy with mini insect erasers at about $0.02/piece from OrientalTrading.com. I got this idea from birthdaypartyideas.com- Make caterpillar antennae for your guests using Dollar Store headbands, pipe cleaners, and painted Styrofoam balls or pop poms.